Leopard is one of those prints that goes with everything and for every occasion. It’s much easier to wear than some people think. Even though it seems colourful it contains all neutral colours that match well. 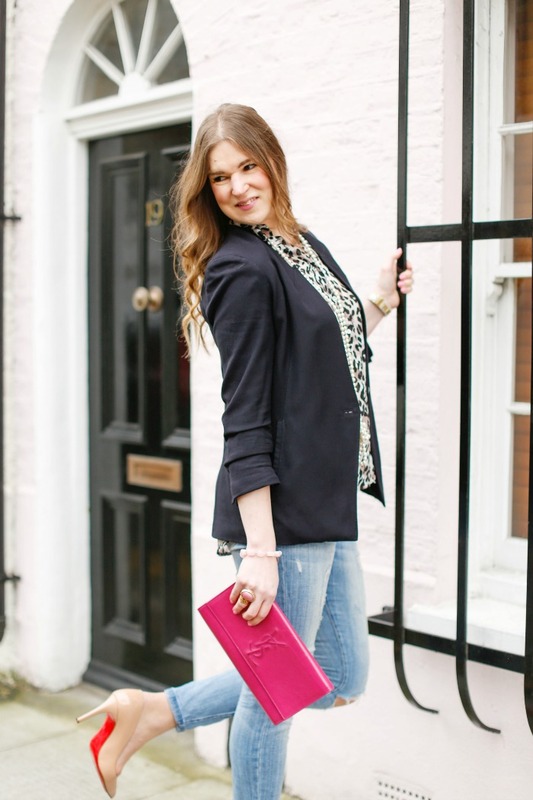 If you’re new to leopard, start with accessories like handbag or shoes but a shirt or a blouse is also easy to style. Wear it with your favourite jeans and if you’re not brave enough throw a blazer over it. Pop of colour in a form of handbag optional, but it wouldn’t be me if I didn’t add something pink..
I’ve worn this exact outfit few times actually and once it was for my birthday party. 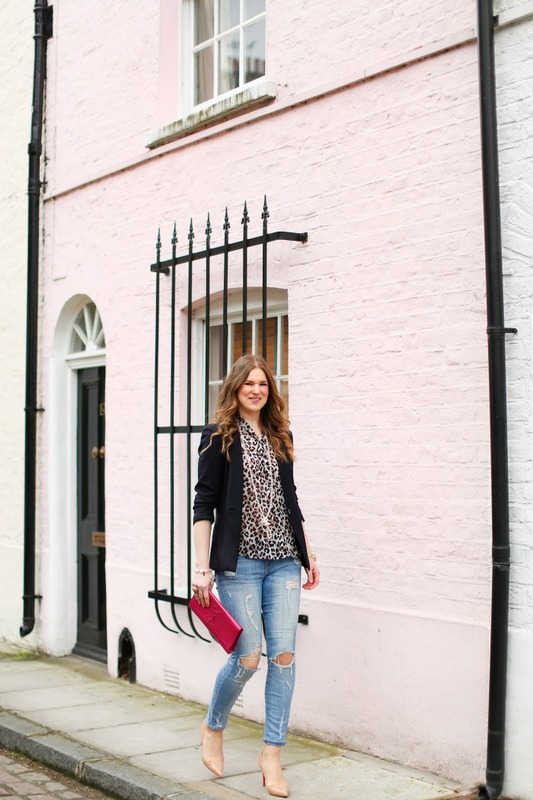 I wanted to look quite casual (it was in a local pub), but still have something interesting about my outfit and leopard print really has the power to transform. Do you wear leopard print? What’s your favourite way to wear it?